Create bruise marks on the skin by using blue & red makeup. First paint blue makeup onto the skin and then paint over it with red. Blend to create a realistic-looking purplish bruise. With a small brush, trickle or smear blood over painted area. Build up area with face Putty Or Scar Skin. Carefully blend edges onto skin. With a dull instrument create a groove. Using Fun Worlds cream make up. Paint the inside of the groove red. Paint edges and blend make up onto skin. If using scar skin , dust inside the groove with powder. With a small brush, trickle blood into groove and allow a few drops to run onto the skin. Lay down and let blood settle for a minute or two. Wash with mild soap under warm water and dispose the paper towel. If the blood temporarily stains the skin, then DO NOT RUB!. The stain will fade with gentle washing and it will slowly disappear. Fun World Make Up is manufactured from ingredients that are generally recognized as safe for use in cosmetics. However as with any cosmetic some individuals may experience a allergic reaction. A patch test is recommended. Apply a spot of the product to inside the elbow or wrist. Leave for 30 - 60 minutes. If a reaction occurs the discontinue uses. The blood and makeup can permanently stain some fabrics and surfaces. Never use blood or makeup in carpeted areas. 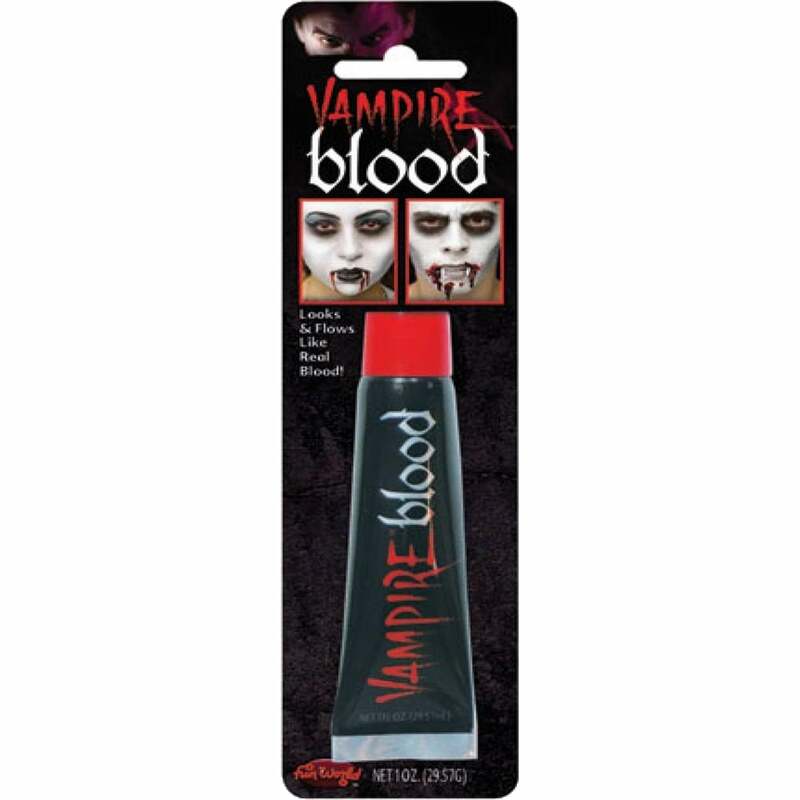 Funny World produces the highest quality face and body art materials. Our products include face paints, gels, special FX products and accessories, all of which have been carefully formulated to be skin friendly, non-toxic and easy to remove. Let your imagination run wild and use Funny Man to safely transform children and adults into anything they want to be!